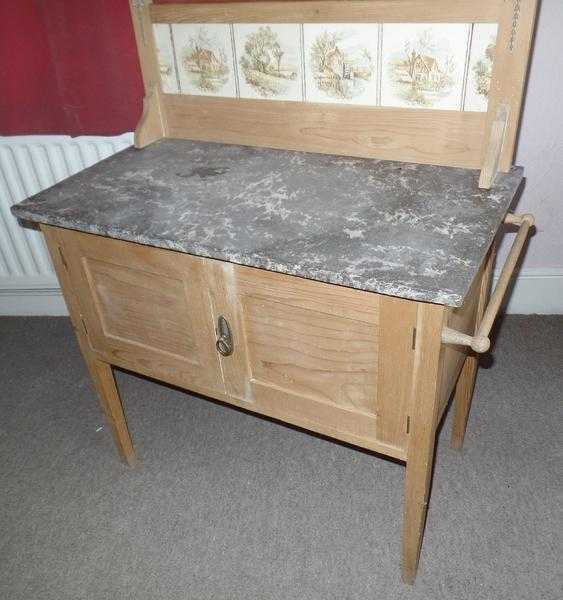 Wash stand with marble top and pine base. The top is currently lose for ease of transportation. This is currently located in Hereford city, which is in Herefordshire UK. NOT HerTfordshire. If your serious and would like extra information, please provide a phone.